Observing the behavioral patterns of an ADD person from an outsider’s perspective can be very confusing. One moment they are attentive and in a second their mind wanders off. Others may find this behavior to be rude or condescending. With that being said, those who have ADD don’t wish ill will to others but their habits and behaviors are often misunderstood. Let us look at common ADD symptoms to help others better understand the cause for their behavior. As mentioned earlier, it can be very hard for others to understand why a person with ADD is acting in such manner. This is the reason why it is important for family members to spread awareness about the unnecessary behavior of loved ones. Early diagnoses also play a very important role in helping ADD patients understand what they are going through. This in turn helps give others to some extent an overview on what to expect while at the same time prepare them for the sudden change of behavior that may happen. Understanding ADD behaviors are usually done by knowing their symptoms. There are a lot of ADD symptoms meaning that there will be a lot of ground to cover. 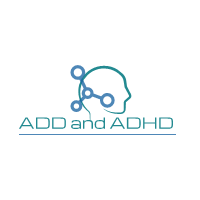 Among the common ADD symptoms include having issues with concentrating and staying focused and gets distracted easily. Paying attention is something they also need to put more effort into especially since ADD sufferers are prone to zone out without them ever realizing it. This can happen even in a middle of a conversation which can make it very problematic. Zoning out can also lead to other problems such as having difficulties in completing tasks along with poor listening skills. On the flip side, ADD symptoms can lead to a person to go into a hyper focused state which results to ADD patients becoming easily absorbed in tasks that are stimulating and rewarding. During these cases, they are more likely to ignore others around them which can lead to and relationship problems if left unchecked. It should be noted that a person may experience a different set of ADD symptoms when compared to others. This is because ADD happens on a case by case basis which can make it problem to properly diagnose. What you can do is to take note of the frequency of your child’s behavioral problems. If they are persistent then you may want to consult with their doctors about them. On the other hand, some behavioral problems may come from a child’s playful and innocent nature which they will usually grow out of when they get older. For that matter, it is best that you talk to your doctors about them right away. Behaviors stemming from ADD is indeed a problem many face. It is good to hear however, that a huge number of ADD sufferers were able to overcome theirs struggles with the constant support and help of their loved ones, families and friends.